AndroGel (testosterone gel) is a topical medication prescribed to treat low testosterone (low T). 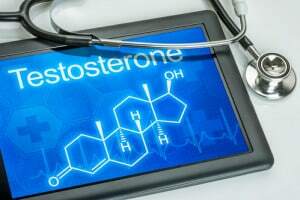 Approved by the U.S. Food and Drug Administration in 2001,1 AndroGel and other testosterone replacement therapies (TRTs) have been linked to anelevated risk of certain life-threatening complications, including heart attack, stroke and death. Those who have been seriously injured after using AndroGel (or another TRT) may be entitled to compensation for their injuries, suffering and losses. The attorneys at the Amaro Law Firm are ready to review your potential AndroGel to determine if you have a strong AndroGel claim and advise you on your options for the maximum financial recovery. Dedicated, diligent and experienced, our lawyers can provide you with the advocacy and representation necessary to protect your rights, build you a strong claim and bring it to the best possible outcome. Have You or a Loved One Been Seriously Hurt after Using AndroGel or Another TRT? Tablets, including Striant CIII (made by Endo Pharmaceuticals) – Please note that some experts believe that testosterone pills can negatively impact the liver. It is important to point out that men using AndroGel (or other topical TRT gels) may not be the only ones subjected to potential side effects. Women or children who come into contact with AndroGel (or other topical TRT gels) via men who have it on their skin can experience virilization, a condition involving the development of male characteristics (such as body and facial hair, deepening of the voice and male-pattern baldness). Cause risks within the first 90 days of starting a testosterone treatment. Many of those harmed by AndroGel have filed lawsuits against AbbVie, alleging the drug maker failed to test the safety of AndroGel and failed to warn the public about the serious risks associated with its use. In July 2017, a Chicago jury hearing the second bellwether AndroGel case awarded a plaintiff $150 million in punitive damages. In October 2017, a Chicago jury awarded a single plaintiff $140 million in punitive damages and $140,000 in compensatory damage for his AndroGel claim. New AndroGel claims can join the ongoing MDL or be filed as individual against AbbVie (or another TRT maker) outside of the MDL. The best decision for you will depend on the details of your claim, your needs and your goals. A lawyer at the Amaro Law Firm can provide you with more specific answers after discussing your circumstances. Although we are aware that compensation can never reverse the permanent injuries or losses caused by AndroGel, we also know that financial recoveries can provide the means to get treatment, heal and rebuild lives. If you or a loved one has been seriously or fatally injured after using AndroGel or another TRT, you can turn to an experienced dangerous drug lawyer at the Amaro Law Firm for exceptional advocacy in the pursuit of financial recovery and justice. Call (877) 892-2797, text (281) 612-8024 or email our firm for your FREE consultation and important information about your potential claim. We represent clients from across the U.S. in AndroGel & TRT claims. Our history of extraordinary representation and success in dangerous drug (and other personal injury) claims has earned us stellar testimonials from former clients, as well as 5-star ratings on Google and Facebook.